We are down to the final wire in the 2019 Legislative Session – this is the 12th week, and there are only eight days remaining before the 90th and final day, also known as “Sine Die” (pronounced sigh-nee di-ee). Family League is working around-the-clock to advance policies that will support Baltimore’s children and youth – check out our 2019 Legislative Priorities Packet to learn more about the work we’re doing and the bills we’re helping to move this year. Each issue of our newsletter will focus on one of Maryland’s 8 Child Well-Being Results Areas. In this issue, we focus on Youth Complete School/Youth Have Access to College and Career Opportunities. This includes our work on issues like the Commission on Innovation and Excellence in Education’s (commonly known as the “Kirwan Commission”), particularly our work in strengthening the Community School strategy in Baltimore City. 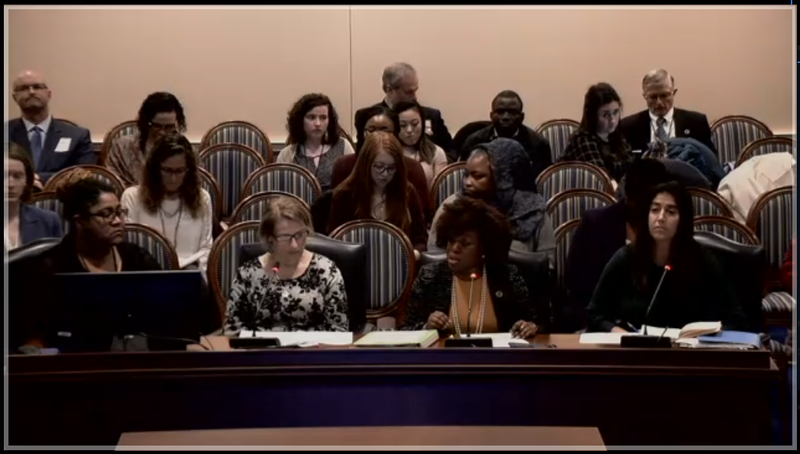 Update on the “Community Schools Bill,” SB 661 / HB 733: This bill would establish a standard, best practices-informed definition of the Community School strategy for Maryland, setting us at the forefront of the national education landscape and showing a deep commitment to the efficacy and impact of the Community School strategy. The timing is incredibly pertinent as the Kirwan Commission recommendations include a significant investment in Community Schools in areas of concentrated poverty across the state. The Senate has moved their version of this bill favorably, meaning it is now with the House. There was a hearing last week in the House Ways & Means Committee on the Senate version of the bill, which includes significant amendments from the Senate Education, Health, and Environmental Affairs Committee. These amendments are helpful in bringing the bill into better alignment with the work of the Kirwan Commission, and we hope they will be seen favorably in the House. HB 796, Maternal Mortality Review Program – Establishment of Local Teams is moving forward in the House! This bill would support the work of the statewide Maternal Mortality Review Program by creating mechanisms for local health offices to assemble a more focused, regionally responsive review team. We have worked closely with a number of stakeholders, medical professionals, and county health officers to craft a responsive and useful bill that we believe will support the expansion of this critical work on the local levels. There is a significant need for our counties, when requested, to have access to all of the data and tools necessary to conduct a local maternal mortality review. Maternal mortality in the state is alarmingly on the rise; Maryland’s maternal mortality rate for 2011 through 2015 is 20% higher than its rate for the five years prior. Nationally, Black women have a maternal mortality rate that is more than 2.5 times that of White women, but that disparity is higher in Maryland at 2.74 times. Because of this, we’ve also been working hard on SB 356, Maternal Mortality Review Program – Reporting Requirement, which would strengthen the annual report regarding the Maternal Mortality Review Program by including a comprehensive section on racial disparities that includes a comparison of the maternal mortality rates across race and ethnicity. This bill is moving forward in both chambers, and we’re very optimistic that it will pass! Watch the hearings for both of these bills here! We are very excited about some of the forward momentum of this bill. Family League views the “Summer SNAP for Children Act” as a significant measure aimed at reducing food insecurity for children and families during the summer months. SB 218 would support families of school-aged children by providing $30 per month, per child, in direct financial food assistance via the Supplemental Nutrition Assistance Program (SNAP). Nearly 1 in 4 residents in Baltimore City live in a food desert, an area defined as having limited access to healthy food.Nearly 200,000 City residents depend on their SNAP benefits for access to nutritious food. 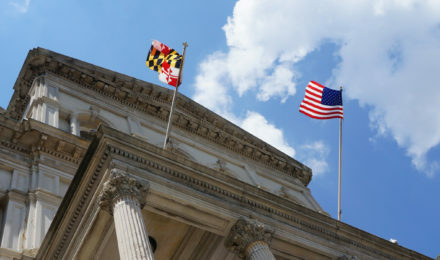 Regrettably, we’ve had to compromise significantly on the appropriations for this bill but have been able to work in some useful provisions that would support the Maryland Department of Human Services in potentially applying for federal funds, when available. We have been working closely with Senator Bill Ferguson (D – Baltimore City) and Delegate Brooke Lierman (D – Baltimore City) to support the Thrive by Three Fund. Currently, multiple sources of federal, state, local, and private funding support an array of maternal, infant, and early childhood programs and services. However, it is often the coordination of these services that is most challenging. Funding and developing a robust Thrive by Three Fund has the potential to transform existing public and private programs and resources into an integrated system of care. This bill also saw a reduction in the annual appropriation as part of the compromise process, but we remain excited about HB 520 which retained an annual appropriation and provides a foundation upon which advocates can continue to build on in future years. There are still a few critical days remaining in this year’s Legislative Session, and so much can change. We will be sure to keep you updated as our bills progress and are looking forward to finishing this year in a strong place, having moved forward a number of key policy reforms that will support children, youth, and families in Baltimore City! If you have questions about any of our priority areas, or want to get involved in our advocacy efforts in Annapolis this year, please email Matt Quinlan, Public Policy Manager, at mquinlan@familyleague.org.